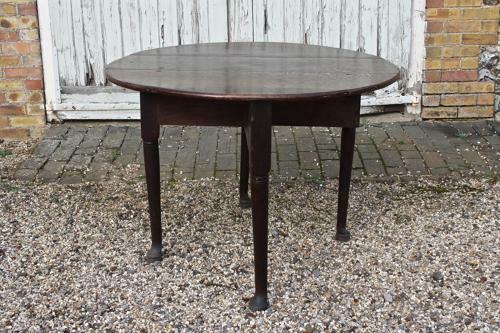 Oval oak gate leg table - drop leaf on pad feet. This table has a wonderful patina - there are a couple of old repairs but the table is very sturdy. It could be used as a centre table or a dining table - particularly useful as it folds away if space is restricted.